This big American road trip has been about a lot of things. It’s been about reconnecting with my favourite country in the world to travel, it’s been about photographing some iconic places, and it’s been about crossing somethings off the old bucket list. But, at the end of the day, this career isn’t worth peanuts if your adventures aren’t about fun as well. During my visit to Universal Studios Orlando, the only goal on my mind was to have fun. I think Universal Orlando was the one thing I was looking most forward to on this road trip for the reason that it would allow me to let loose and not worry about work for a while. I did just that. In fact, when I went to Universal Studios, I left my big camera gear at home and shot on my new GoPro Hero 3+ Silver instead. Check out the quick footage from the park. Having never been to Universal Studios, planning a visit was a little bit overwhelming. Especially when the websites sell 3 day passes. Do we really need a 3 day pass in Universal Orlando? Well, the answer depends on a lot of things. But personally, I think you can do it all in one day. This is how we did it. 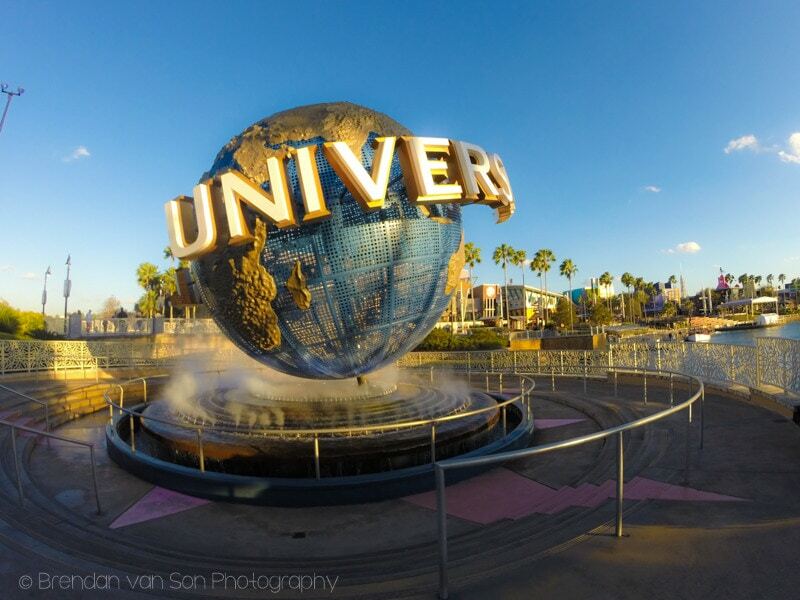 Universal Studios consists of 2 parks: Islands of Adventure and Universal Orlando. Both are excellent parks and worth a visit. I highly recommend you get the pass that covers both of these parks. 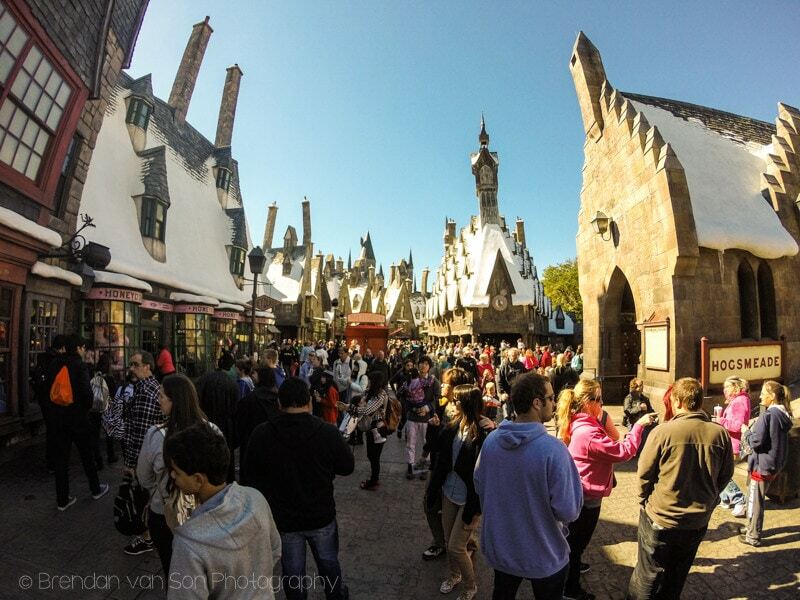 Islands of Adventure has areas like Jurassic Park, Marvel Island, Hogsmeade and more. Universal Orlando has areas and rides like The Simpsons, Transformers, and Diagon Alley. 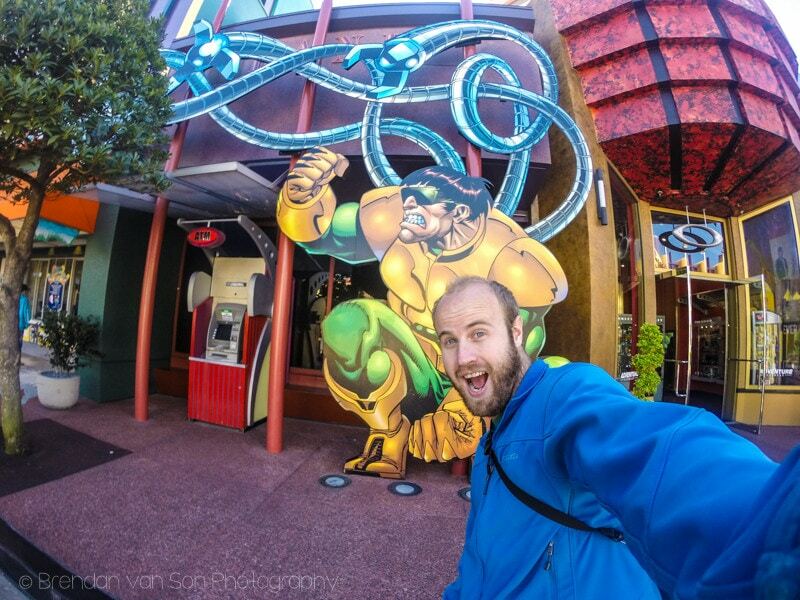 Personally, I thought Islands of Adventure was more exciting, but both are excellent. You can jump back and forth between parks by taking the Hogswarts Express. I also thing getting a fast-pass is really important. We were there in the off-season, so the lines weren’t bad. But, with most rides having about a 20 minute line, skipping right to the front means you can spend more time on the rides and less time waiting. 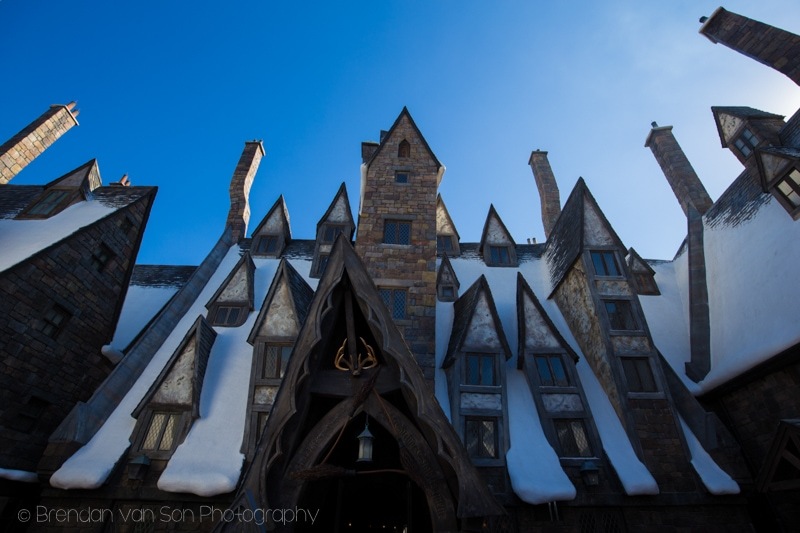 What the Heck is Hogsmeade? The biggest attractions in Universal Studios Orlando right now are the Harry Potter areas. These are also the busiest parts of the parks. In Universal Orlando, you have Diagon Alley which is full of quirky little alley ways, cool shops, and a fire-breathing dragon. 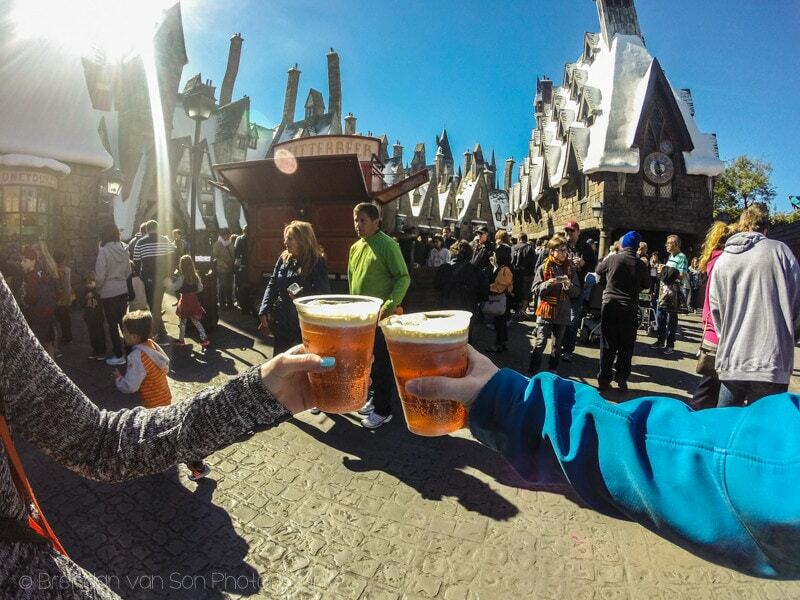 Over in Islands of Adventure, you have the village of Hogsmeade, where muggles and wizards bump shoulders and share pints of butter beer. In each of these areas you’ll find people dressed in Wizard outfits and taking the theme seriously. You can even by interactive wands and cast spells on certain features in the parks. I bought a GoPro Hero 3 Silver the other day because my Hero 2 has started to crap out. I’m really hoping that there are improvements to the Hero 2, and I can tell already there are. For example, the timelapse capabilities of the Hero 3 are so much better. You also now have wifi capabilities which allows remote control of the camera which is amazing. The video quality is also superior at 60 frames per second. The one thing I noticed right away with the Hero 3, however, is that it still suffers from audio quality issues. Yes, the mic sounds much better, but if there’s even a gentle wind you have a tonne of crackling noise. To make matters worse, there’s no external audio jack to use a lapel mic. I think, I might have to start recording audio separately if I continue to use the GoPro for video, and that’s a pain. Can we Get back to Travel Photography Please? Yes, yes, don’t worry. That’s next on the agenda. I just needed a day for myself, you know? The travel photography is rolling on. We’re hitting up Disney World, then the Florida Keys and Everglades. It should be fun! Stay tuned.